Everyone wants to join the billionaires club, it seems. Charlie Jacobson once owned but twenty shares in the New Order. Then he decided it was time to supercharge his life. Charlie purchased 980 additional shares, bringing him to a solid 1,000. This also had the effect of launching us past the 1,751 billion isk mark and earning Charlie a Supreme Protector's Tip of the Hat™. Of course, there's always the multi-billionaires club. Thanks to the Code, highsec is a land of opportunity. A question, dear reader: What happens when two Orcas decide to engage in ice mining (in Halaima, no less!) while there are active kill rights out on them? 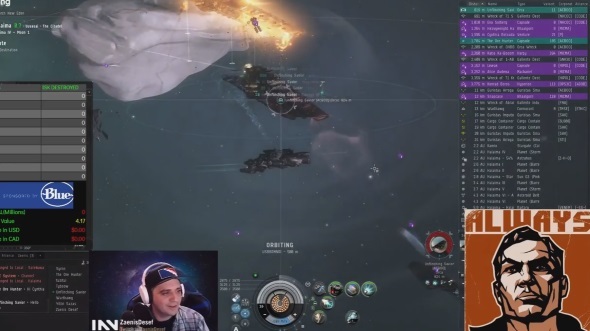 Agent Zaenis Desef was streaming EVE at the time, so he went to Halaima to see for himself. No spoilers here, but the Orcas perished in holy fire. Did you guess correctly, dear reader? If so, you did better than the Orca pilots. Video is 3:12 long. Such a missed opportunity. Orcas: helping to drive the EO economy since their inception. Something Jamey and his chode. slave hypocrites can't accept, yet they revel in ISK and cheap ganking ships. The proliferation and efficiency allowed by Orcas help to allow those ganking catalysts to be so cheap. 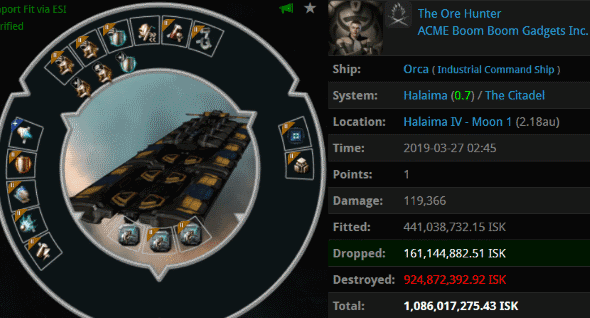 "they revel in ISK and cheap gankinp ships"
Perishing orcas are also driving the economy. Miners who obey The Code are completely safe and never lose ships. Thus they gain an economical advantage over the goofus. You should try it too. Agents are of course free from such shackles, as everything an agent needs is a Catalyst or a Talos, and James provides those.